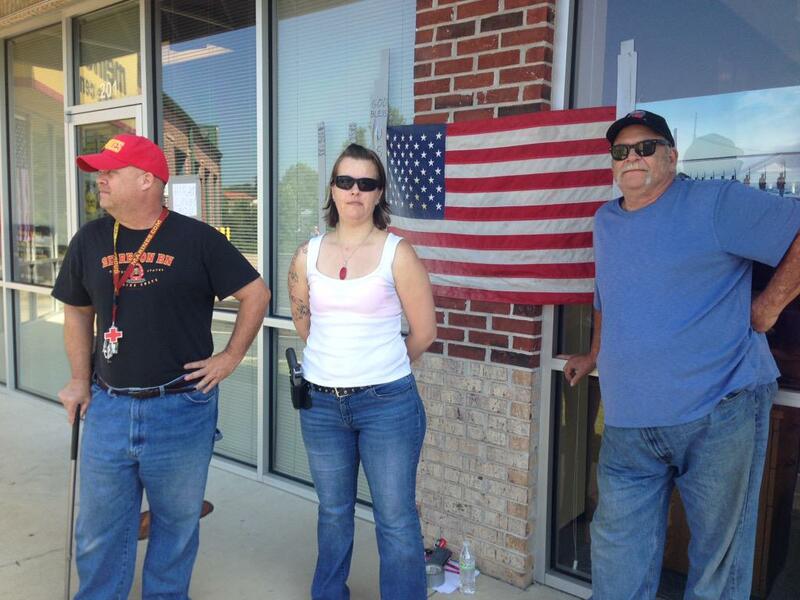 Armed Americans are standing guard outside of an Army recruitment center in Georgia today following yesterday’s horrific shooting that took the lives of four U.S. Marines in Chattanooga, Tennessee. "To think the people who are supposed to protect and serve us are unable to protect and serve... protect themselves," said Tewellow. "So if us, the citizens, who carry permits, are able to help protect them that's, that's what we're gonna be able to do." News Radio 106.7's Nathalie Pozo was at the recruitment center on Friday morning and reported that about 30 people answered the call to arms. "This is who is fighting for us," said Tewellow. "This is who is giving us our freedom, who allows us to wake every day and if they're not here, and is taken down just like the Chattanooga incident, then how can we say that we are going to be able to wake up tomorrow?" According to MyFoxAtlanta, more than 30 armed citizens were present outside the recruitment center early this morning, with more expected to arrive throughout the day. Similarly, a man armed with an AR-15 rifle made headlines in Virgina today after standing guard outside of a recruitment center in Winchester. The shooting in Chattanooga follows several other high-profile attacks on military property in recent years including the 2008 Fort Hood incident as well as the 2013 Washington Navy Yard shooting.